I have a whole cupboard shelf dedicated to my many favorite cups. I love having my morning coffee or my afternoon tea in one of my cute cups. The other day I had an idea to do some little watercolor drawings of some of my favorite cups paired with a cute saying. These are my watercolor interpretations of three of my favorite cups. 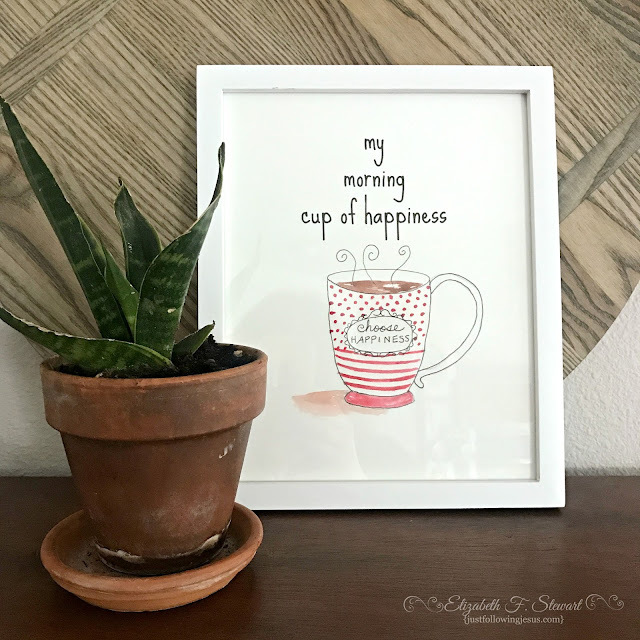 They are not photographs, so I didn't try to make exact detailed replications, but I simply relaxed and drew "close enough" representations of the cups, then painted them with watercolors. 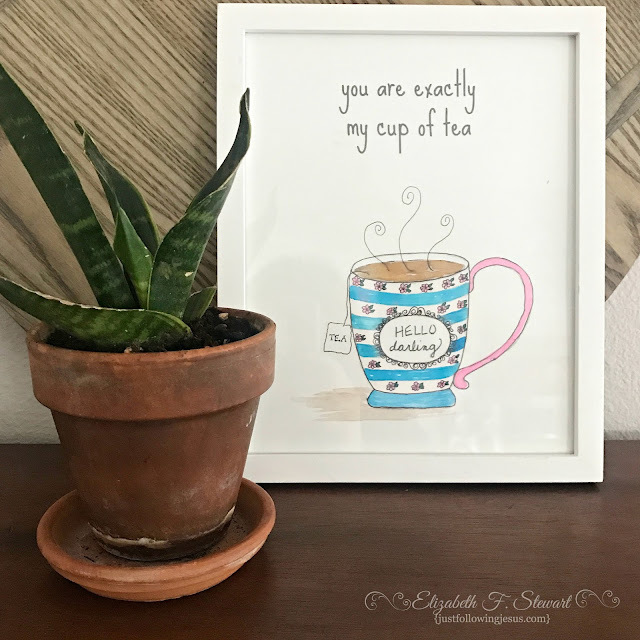 I thought it would be fun to have a little giveaway of one 8x10 unframed "my favorite cup" watercolor painting on high quality watercoloring paper. The winner can choose to send me a close up photo of their favorite cup and I will attempt to paint it, or they can choose to have me paint a copy of one of my cups. 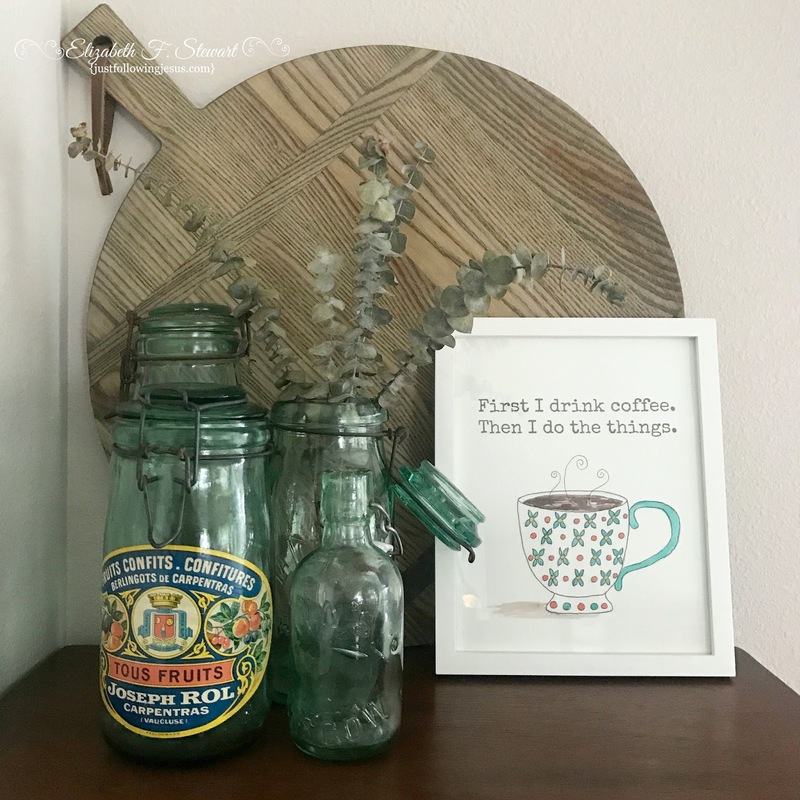 To enter the giveaway, simply leave a comment telling me whether you are a tea or coffee lover. 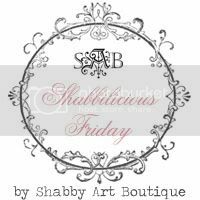 I will pick a winner from the comments and let you know who wins in next week's Friday Favs post. Be sure to click subscribe by email when you comment so that I can reply back to you! Wishing we could have a cup together! Oh!! Yes!!! Coffee ☕️!!! Happy Faithful Friday! Love tea in a mug! Especially love having tea in a mug with you, dear friend. And I love your artwork. Yes, to friends and tea! I love them all, but especially the tea one - my morning drink of choice! My evening drink of choice is a cup of decaf chai tea! You totally amaze me! I had no idea you can paint!! I'm trying my best to learn to love hot tea...but coffee will always be my first love. Thanks for doing such a sweet thing for your readers. I love "doodling" as I call my artistic endeavors. These are adorable, Elizabeth! Even more so now that I know they are your creations! I like both coffee and tea - but if I had to pick one, it would be coffee. Have a blessed rest of your day! I love "doodling" which is what I call my level of art skill. How excited I am to enter your GiveAway. Coffee for me in the morning and decaf tea for me in the afternoon. Wish we could share a cup!